Calculate State Route 1 Tolls. Pick your travel direction (required for this toll road). ► Starting exit and Mile Marker: 91:State Route 9 / Dover AFB Commercial Gate at Mile Marker 56.2, in Dover. ► Ending exit and Mile Marker: 166:SR 58 / Churchmans Road / SR 7 at Mile Marker 103, in Newark. 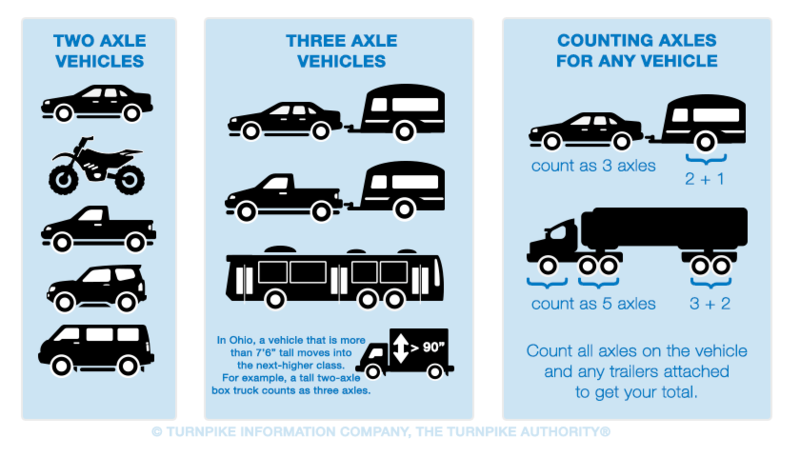 Tolls on the State Route 1 are calculated based on the number of axles for your vehicle. When counting axles, make certain to count the axles with wheels on the ground, including any axles on trailers you may be towing. There are 5 axle designations for Delaware.